1. In the food tracker under "What did you eat?" type "generic." 2. Select "Generic food calories" from the drop-down menu that displays. 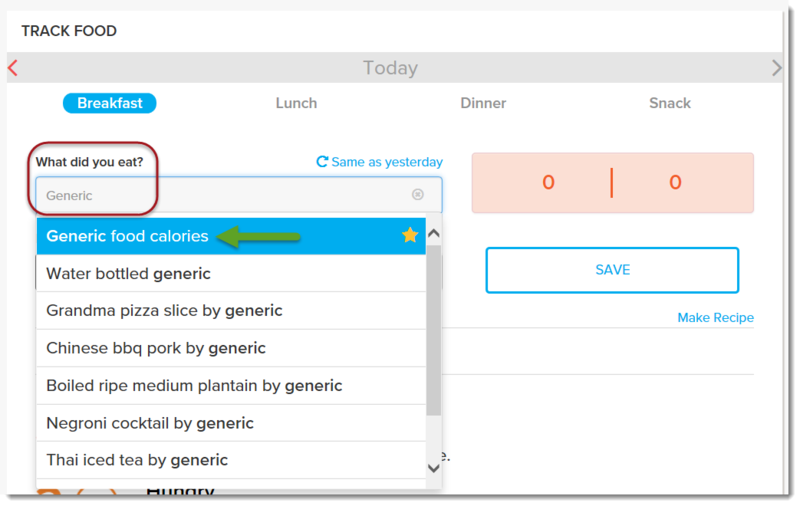 NOTE: If you are using the Android app and do not see the "Generic food calories" option, log in to the website and add it there first. You will then be able to select it from the app through the favorites functionality. 3. Then click Calorie under "How much?" and then enter the number of calories in the box to the right.